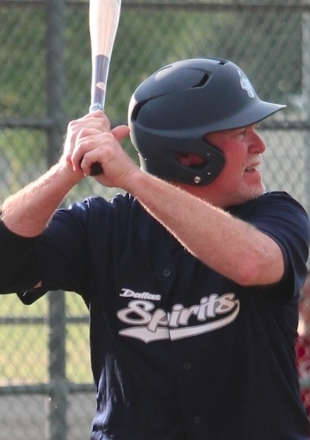 (November 11, 2018 – Dallas TX) Tension was a little high, while temperatures were very low Sunday night as the Spirits (35+) squad edged a makeshift version of the Royals Baseball Club by a score of 5 to 4 at First Baptist Academy in South Dallas to advance to the NTABL Brazos Division fall baseball championship this coming Wednesday night. Brant Finchum was the hero Sunday night, picking up the win as the pitcher and delivering 3 hits on the chilly night that included a two-run single in the bottom half of the fifth that would later prove to be the game winner. Finchum was also solid from the mound, completing 5 full innings of pitching, allowing one earned run on 6 hits, walking one and striking out 5. The Royals struck first by fielding a team that only consisted of 6 actual roster player. The team utilized some additional help from other teams to field a squad. 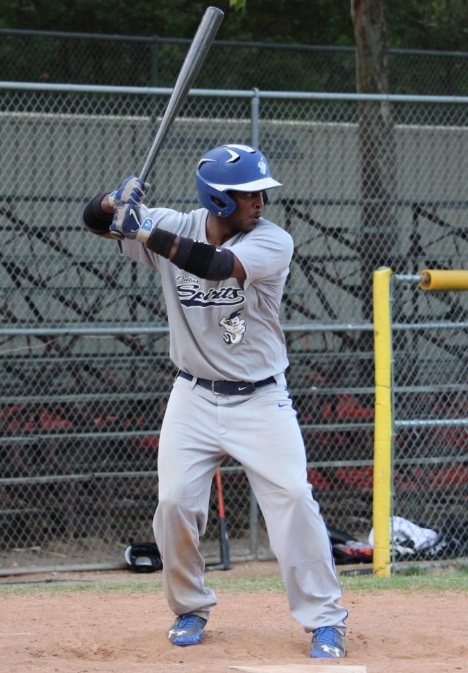 It was the Royals players that made the impact offensively however, starting with Richard Campbell leading things off by reaching on a Spirits throwing error. Campbell was quickly awarded second when Finchum was called with a balk by the umpires and he would quickly score after Michael Dossey crushed a single to left-center to give the Royals a 1 to 0 lead. Dossey was then awarded second on another balk call by the umpires and the Royals had another runner in scoring position. Dossey was able to advance to third on a wild pitch and would later score on an RBI single by Aaron Jenkins. Jenkins then swiped second and Finchum refocused to get Ravi Malick to fly out. Jenkins then stole third base, but Finchum was able to strike out David Waite to put the rally on ice. Ted Morales finally grounded out to end the Royals fast start. Finchum was able to reach base on the bottom half of the first with a one-out bunt single, but he’d later be caught stealing to record the second out. Kirk Sipila drew a base-on-balls, but Travis Hitzeman flew out to end the inning. The Spirits then put the Royals down in order in the second and would get a runner as far as second base after Bobby Kornhauser reached on an error and was then squeezed at second when Lee reached on a fielder’s choice. Lee advanced to second when the Royals mishandled a pick off attempt at first, but would be left stranded after Eric McPherson flew out and Chris Lewis grounded out. Things remained quiet and cold until the bottom half of the third inning when John Hefner led off with a single. Lewis ran for the Spirits catcher and then advanced to second after Jonathan Duran crushed a line drive single over the Royals shortstop. Eric Goetz then loaded the bases after taking a Ron Glenn pitch to the middle of his back and the Spirits were rolling with bases load and nobody down. 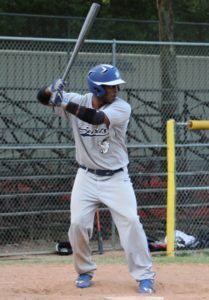 David Tipton picked up the sacrifice fly to score Lewis (Hefner) and a follow up single by Finchum scored Duran to tie the game at 2 to 2. Sipila again walked to load the bases and a deep fly ball from Hitzeman scored Goetz to give the Spirits a 3 to 2 lead before Kornhauser flew out to end the inning. The score remained the same moving into the bottom half of the fifth as Finchum seemed to get better each inning, setting the Royals hitters off balance with a nice blend of off speed curve balls alongside a solid defense. Campbell came into pitch for the Royals and Hefer welcomed him to the game with a shot to deep left field. Jenkins, playing center field for the Royals was not in a giving mood however. The speedy outfielder had an instant jump on the line drive to the gap and made this particular catch his best out of the three catches on the night that would have easily made the highlight reel and recorded the inning’s first out. Duran was able to reach on an error and after Goetz flew out and it appeared the Royals were prepped to get out of another inning and keep things interesting. However, Tipton was also able to reach on another fielding error by Royals and the Spirits rally continued. Finchum then patiently waited through a 3-1 count and delivered with a line drive to left field that scored both Duran and Tipton after the Royals left fielder fumbled the ball. Sipila would later ground out, but the Spirits held a 5 to 2 advantage moving into the sixth. Lee turned to Duran to closeout the game in the Royals half of the sixth and the Royals showed they had some fight left in them. Jenkins led things off with a double and scored after Malick took the next pitch down the left field line for another double. Waite grounded out to push Malick to third and a sacrifice fly by Morales allowed Malick to score and for the Royals to cut the lead down to, 5 to 4. 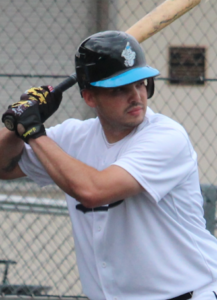 Duran was able to strike out William Dalrymple to end the inning and the Spirits entered the bottom half of the inning with a one run lead and an opportunity to end the game due to time constraints. Campbell was able to deliver for the Royals however, getting Hitzeman to fly out and later striking out both Lee and McPherson. The night would turn out to favor the Spirits however, as Duran remained focused and was able to pick up the save after setting the Royals in order during the top half of the seventh that included a strikeout to Scott Jeffries and the Spirits advance to the championship game on Wednesday night. The game is slated for an 8:45PM first pitch at Graham Field on the grounds of Prestonwood Christian Academy where the Spirits will play host to the Knights. You can click here for schedule details. The victory raises the Spirits record to 7-0-1 and sets up a rematch against the team causing the lone blemish on an otherwise perfect fall season.